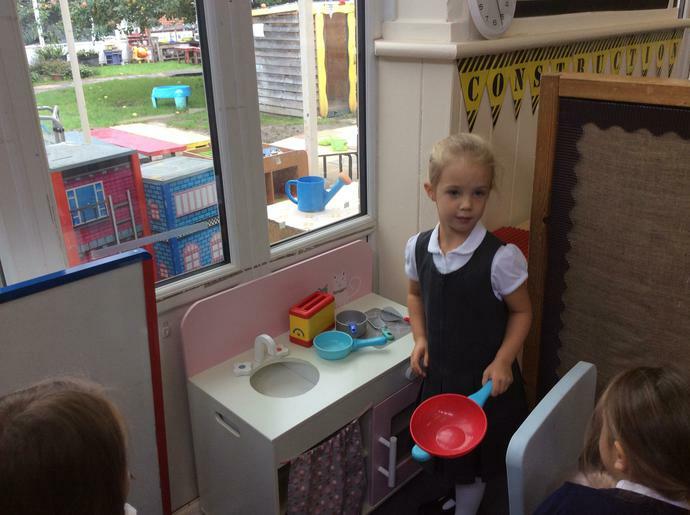 Provide a happy, secure, well-ordered and stimulating environment, where children can develop as independent individuals through interaction with sensitive adults and other children. 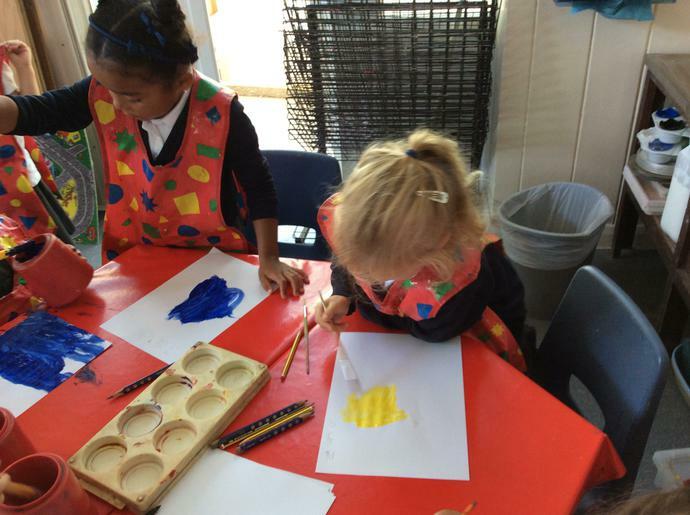 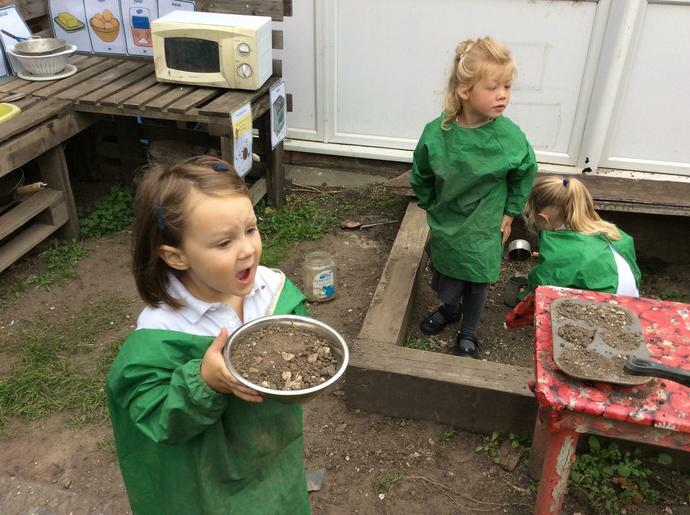 Offer a broad and balanced curriculum which extends previous learning and covers the seven areas of learning as set out in the Early Years Foundation Stage Framework (Sept 2017). 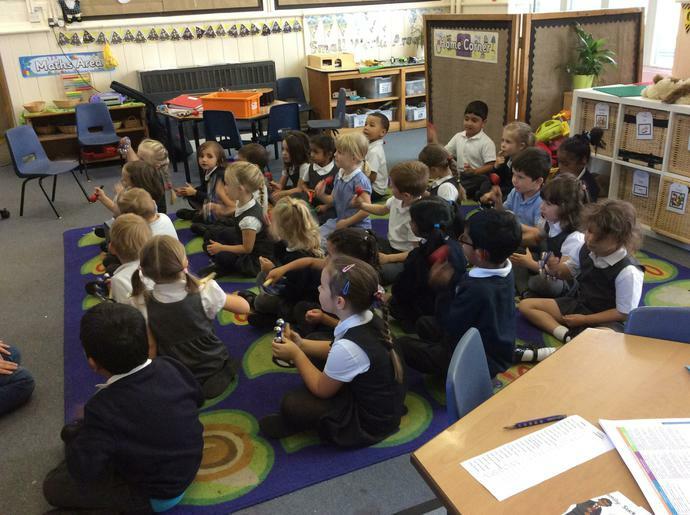 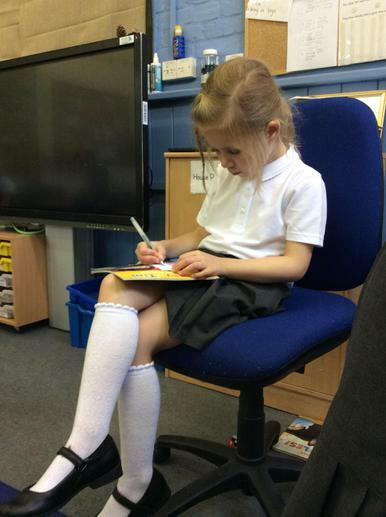 Ensure that children develop positive attitudes to learning, self-motivation, curiosity, confidence and responsibility. 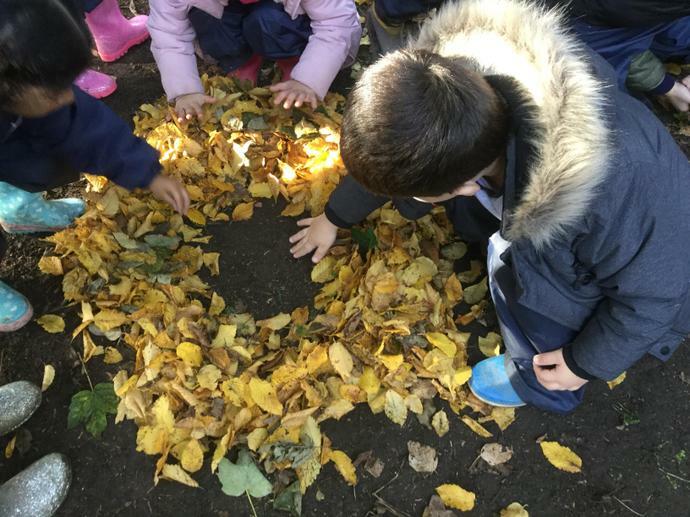 Provide children with first hand learning experiences rooted in purposeful play in which they can become actively engaged, expressing thoughts, ideas and feelings. 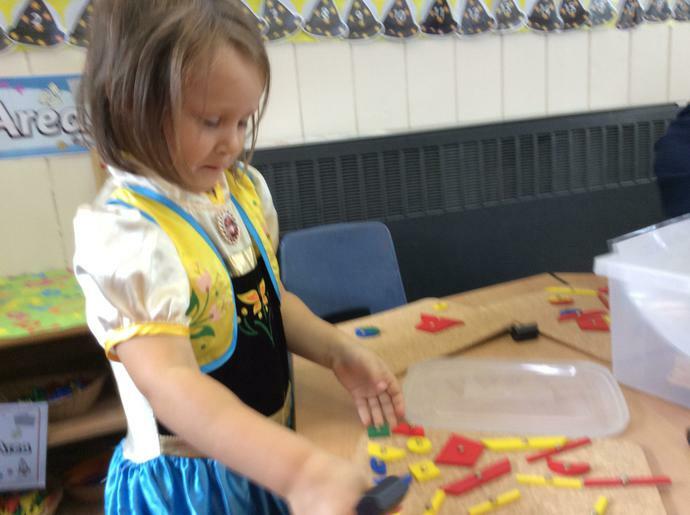 Develop the whole child socially, spiritually, emotionally, physically and intellectually. 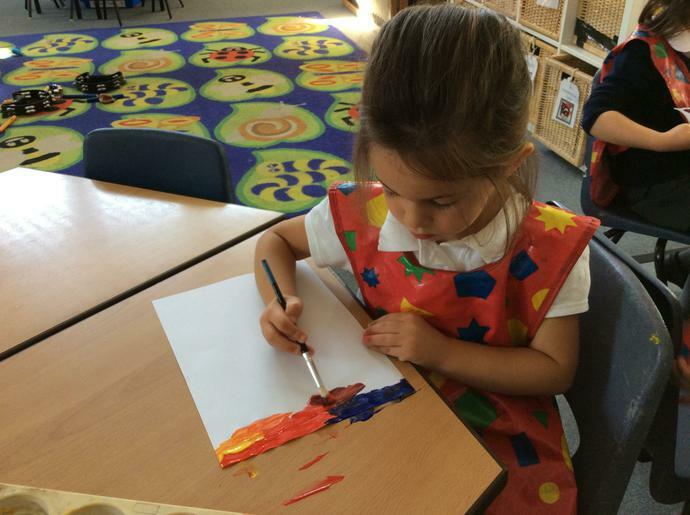 Develop and maintain partnership with parents and others including other professionals who are involved with the development of the child. 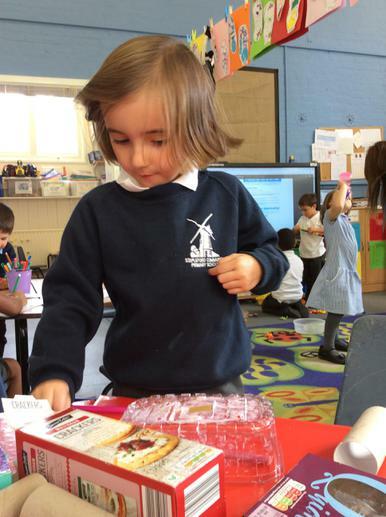 This year, so far, we have cooked apple crumble tarts, Christmas biscuits, gingerbread men, porridge and Chinese noodles. 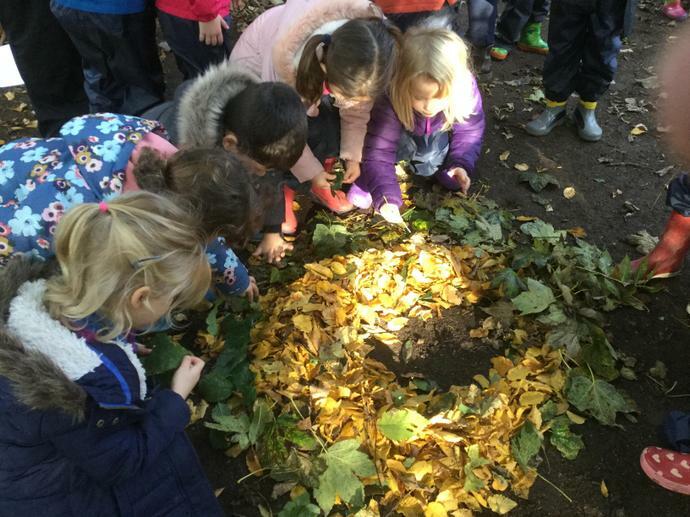 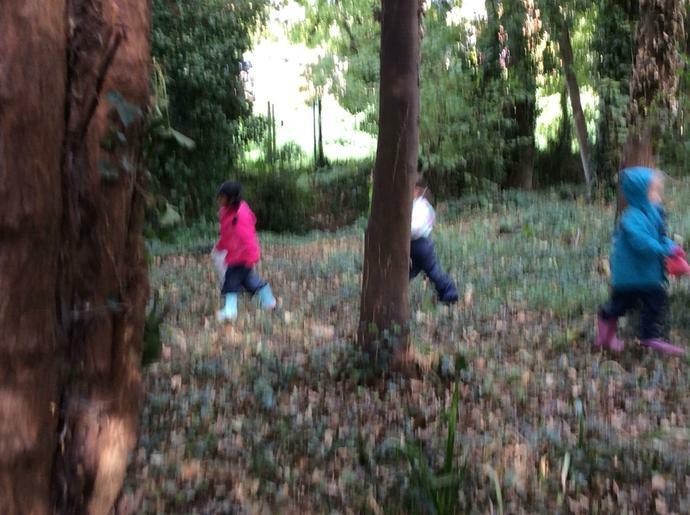 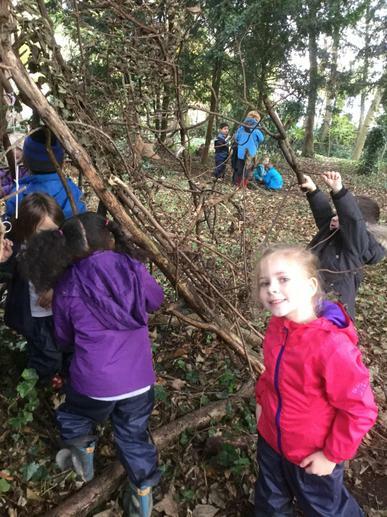 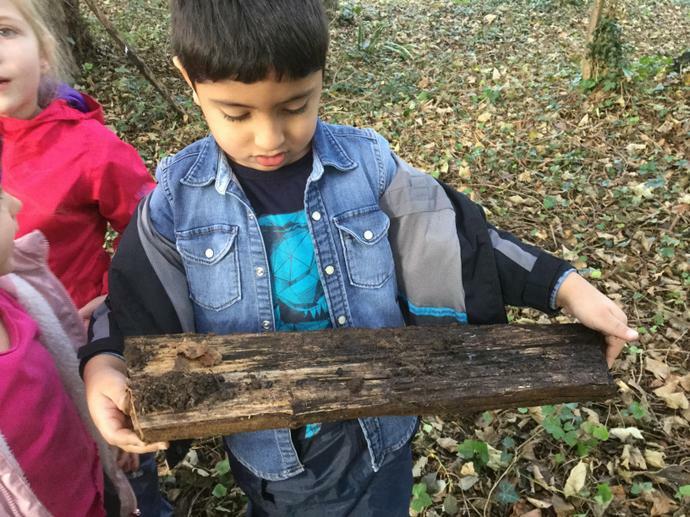 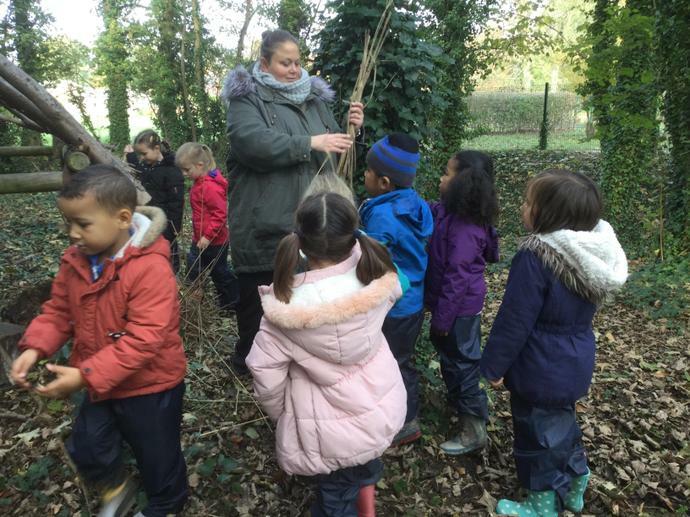 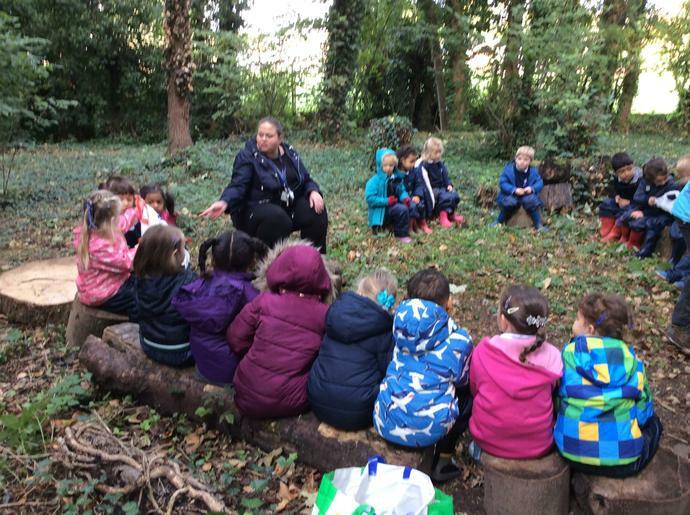 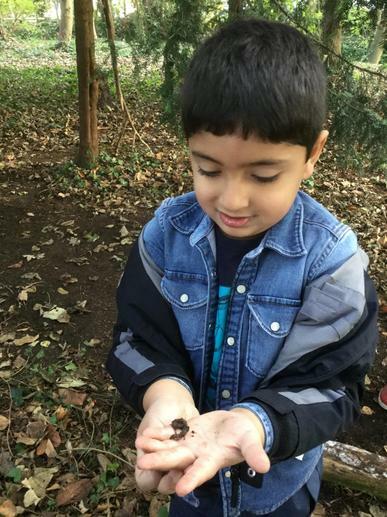 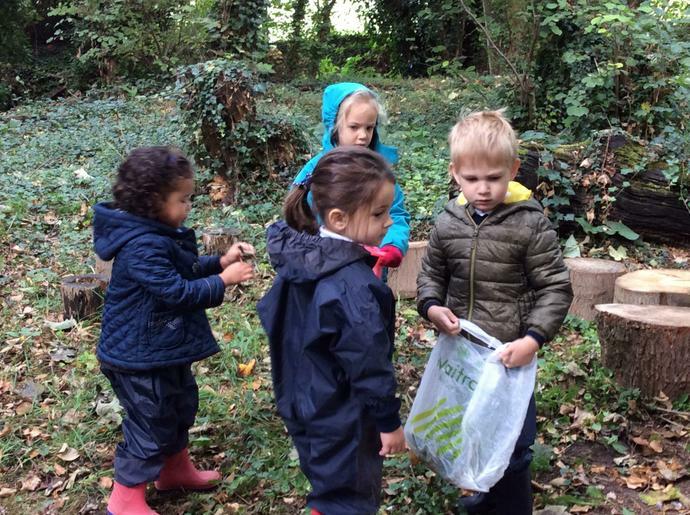 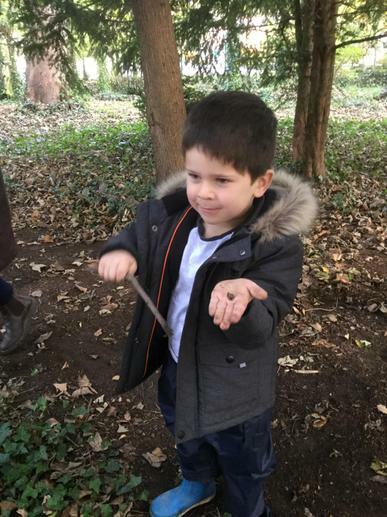 Outdoor learning helps children to grow in confidence as a result of the freedom, time and space they are given in their learning. 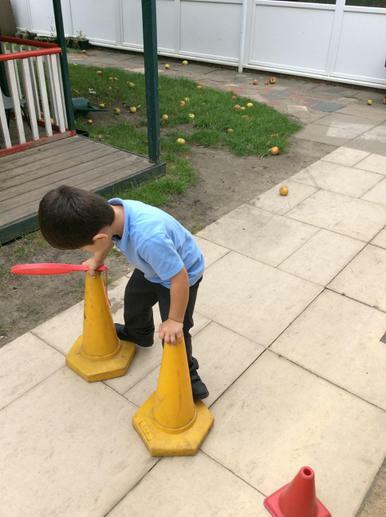 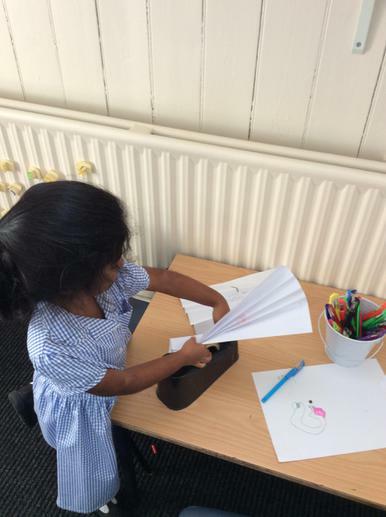 This allows them to demonstrate independence at their own rate. 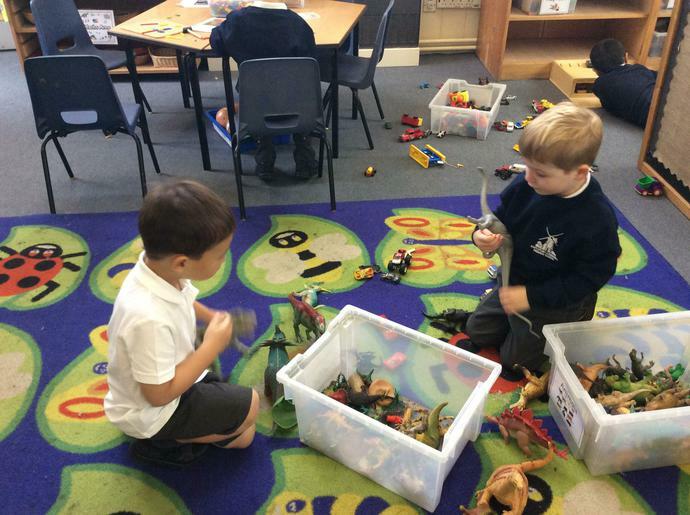 Activities such as sharing resources and participating in play help teach the children to work together as a group, which strengthens their bonds and social ties. 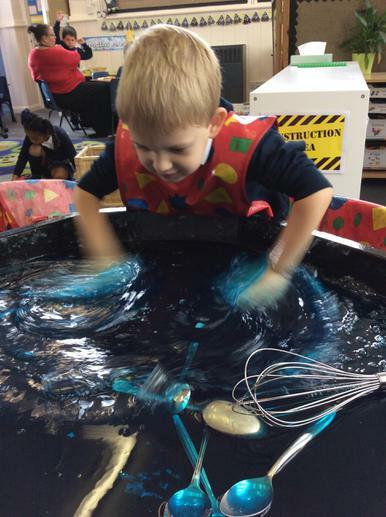 The sensory experiences provided help prompt language development. 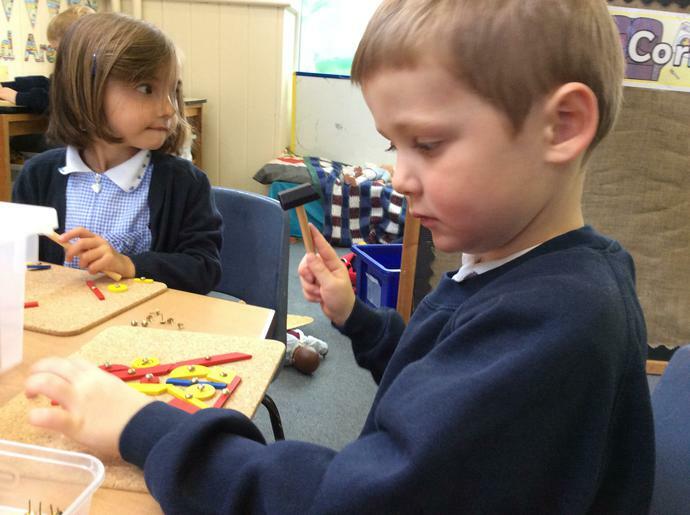 Improving communication skills has a positive effect on a child’s self-esteem and is a crucial part of their development. 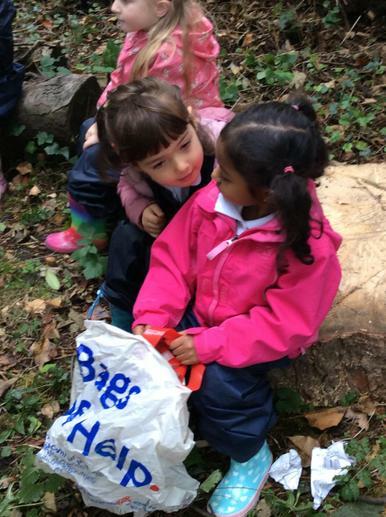 High levels of interest lead to high levels of attention. 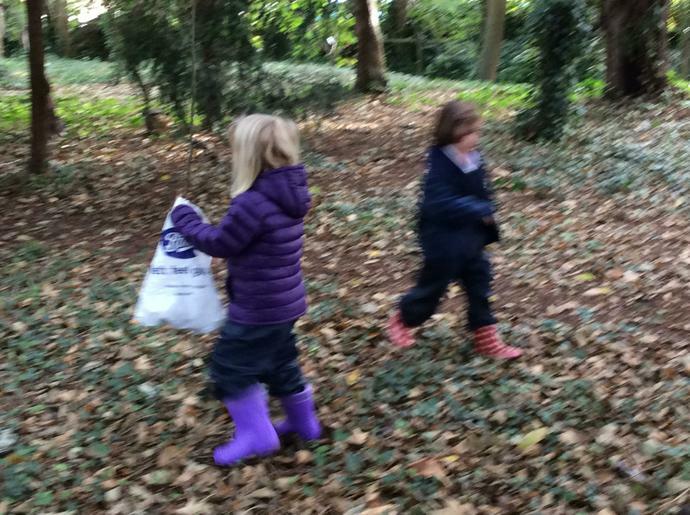 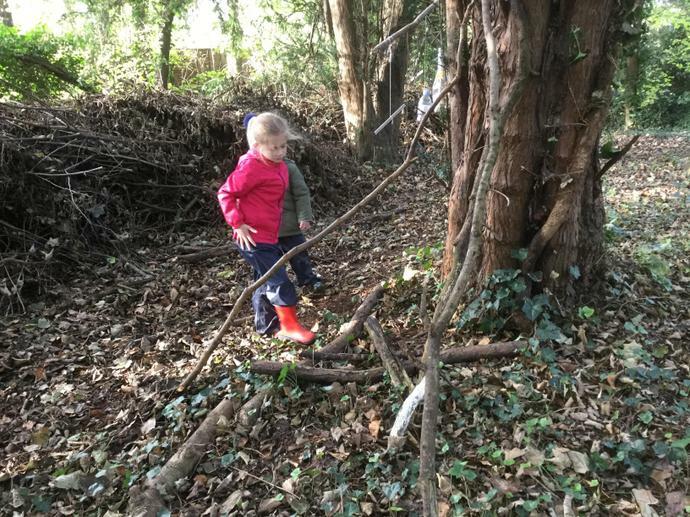 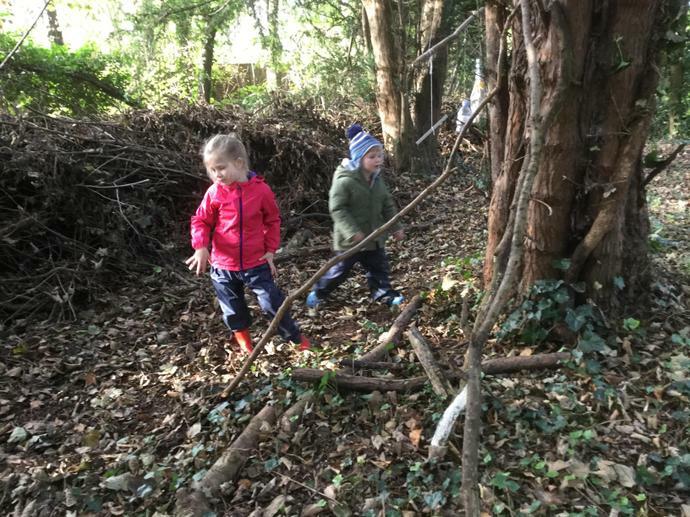 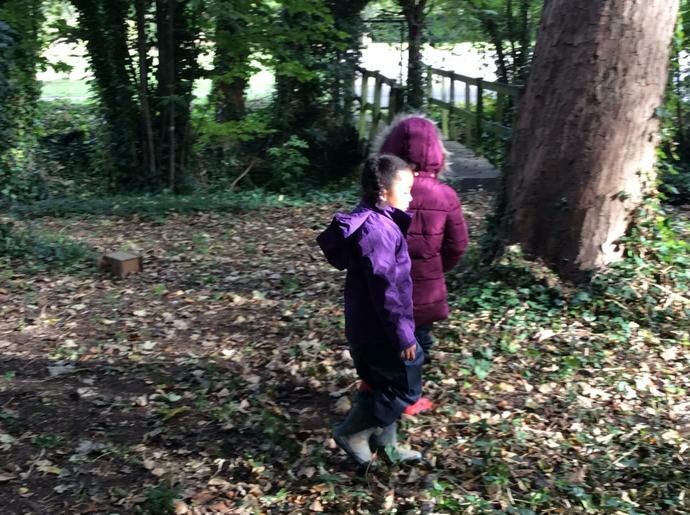 Spending time in the woodland is exciting for a child. 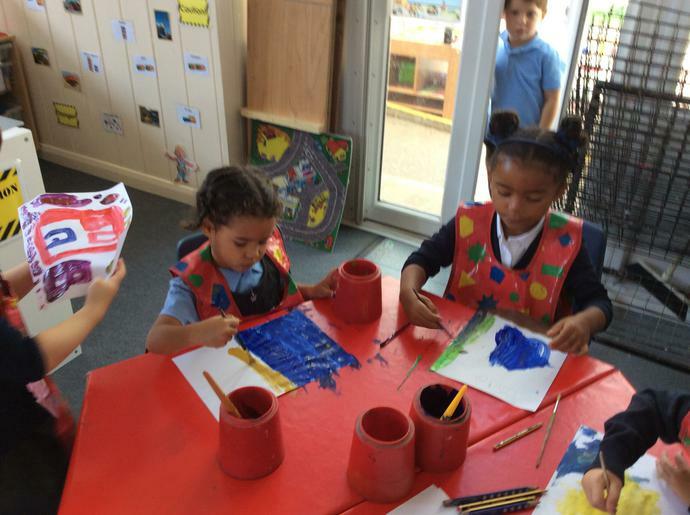 It tends to fascinate them which develops a strong will to participate and concentrate over long periods of time. 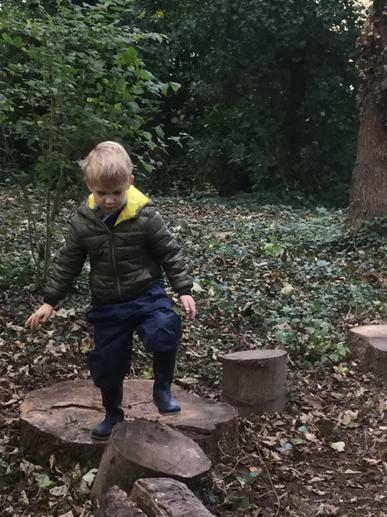 The increase in outdoor activity is bound to have a positive physical impact. 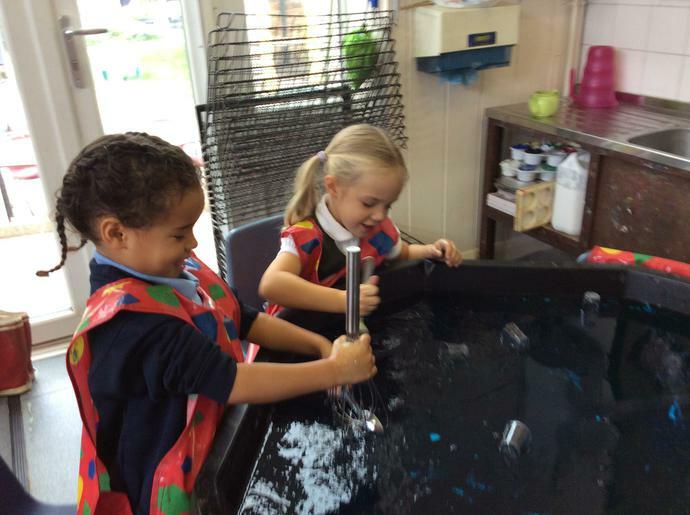 Not only does the development of physical stamina improve but also gross and fine motor skills. 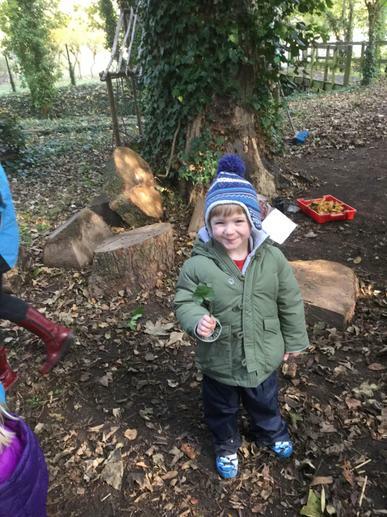 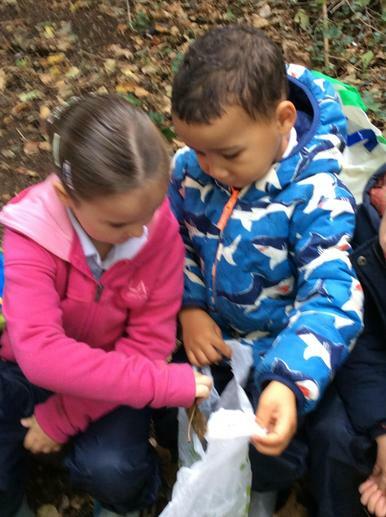 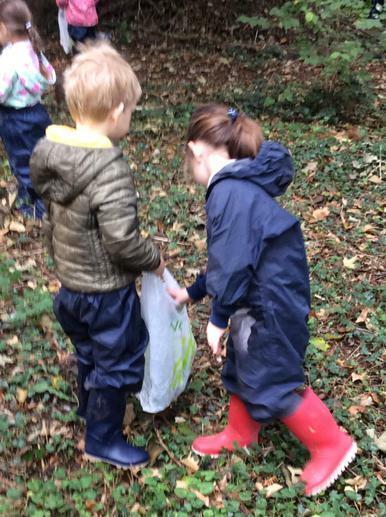 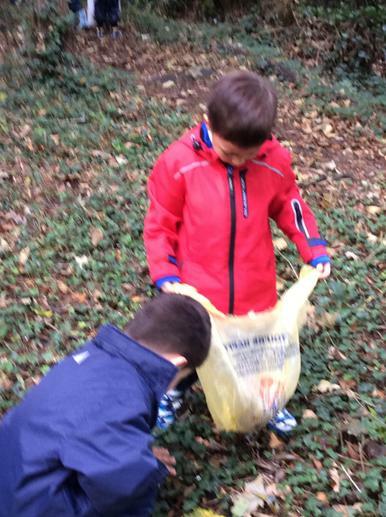 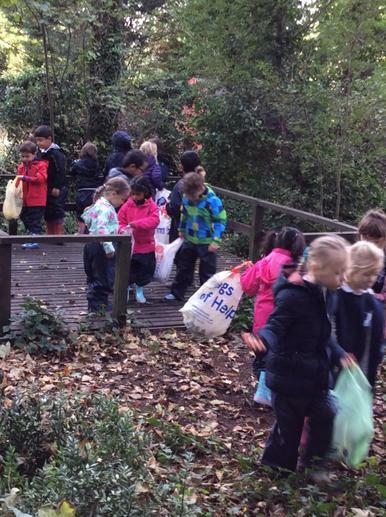 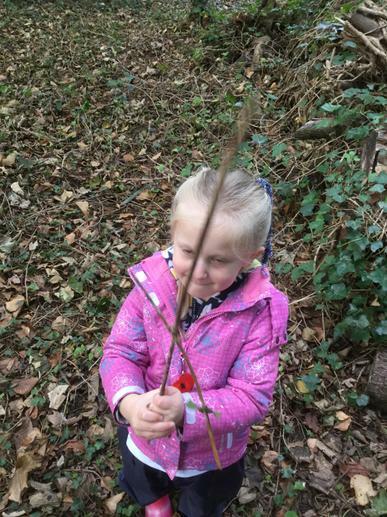 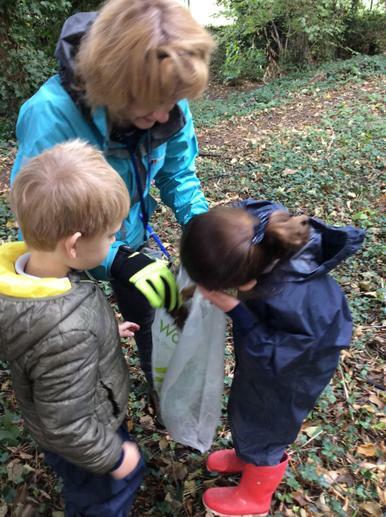 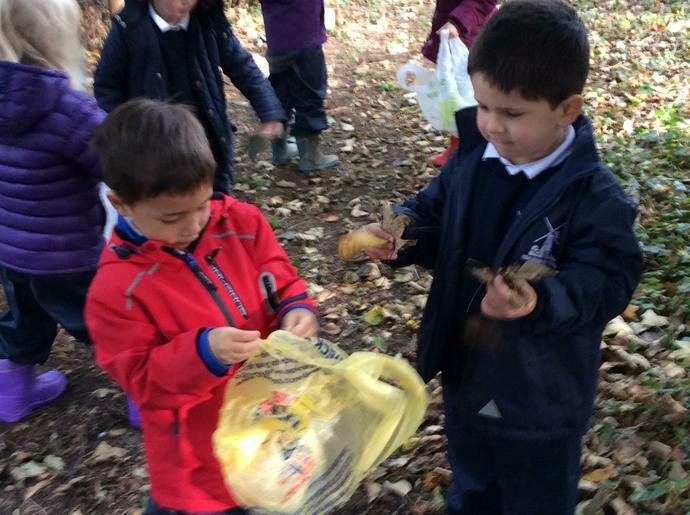 Children develop an interest in the great outdoors and respect for the environment. 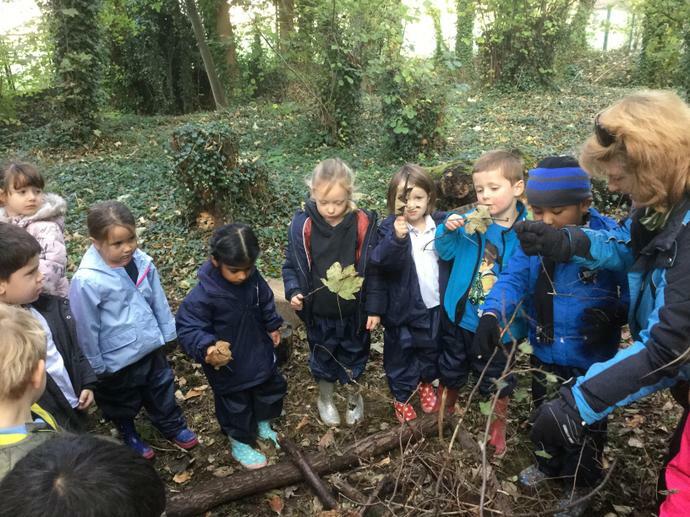 Encouraging children to develop a relationship with the natural world will help in protecting the environment for generations to come. 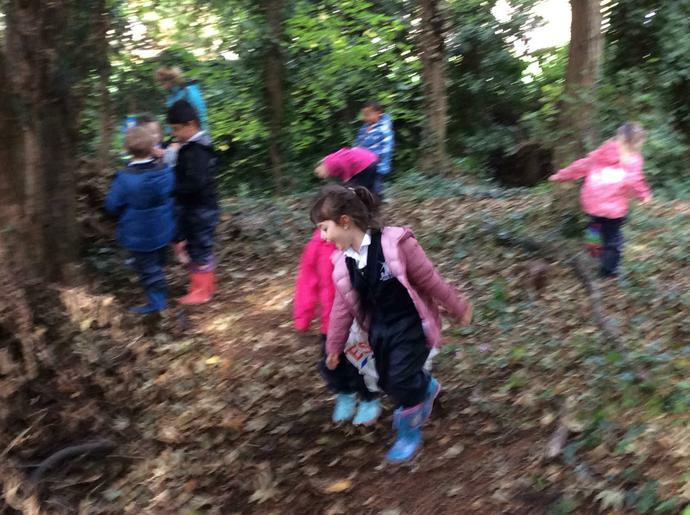 Outdoor Learning is fun! 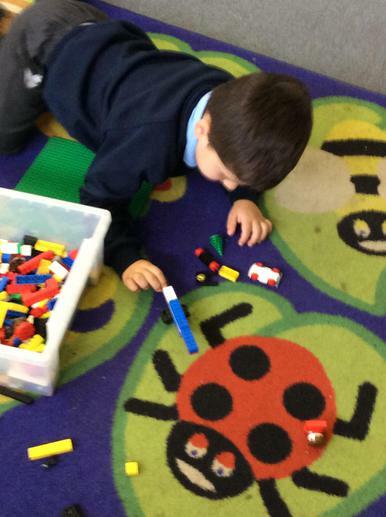 It is educational whilst also allowing children to play, explore and discover. 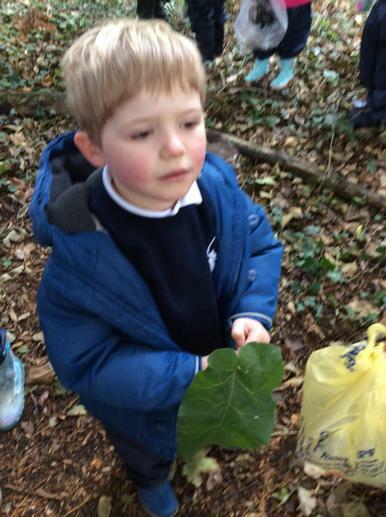 Children who participate in Forest Schools are generally observed to be happier. 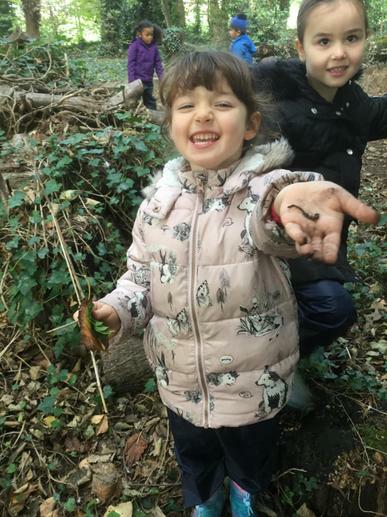 The fresh air, the excitement, getting mucky – it doesn’t get child friendlier than that.